"THERE’S A LOT TO CONSIDER WHEN YOU’RE DECIDING WHAT TYRES TO ‘ROLL’ WITH. TUBELESS IS CERTAINLY THE TYRE TECHNOLOGY OF THE FUTURE..."
On our recent travels to Bhutan, both BT and I used the Schwalbe G-One Tyres (without fault.) Fast on the tarmac and grippy on the gravel. Since giving up a conventional life for a life of adventure on two wheels, I’ve had the opportunity to explore some incredible places. But my recent trip to Bhutan was something else entirely (Blog post to follow shortly.) To begin with, the country is extremely remote (TV and the internet were only introduced 11 years ago), and infrastructure is coming up slowly; I visited in the midst of a massive road widening project, which meant I was riding on gravel roads, almost the entire time I was there. It was nuts! I spent eleven days exploring the country, at elevations up to 4,000m, and taking in the majesty of the Himalayan Mountains while being humbled by their sheer immensity. 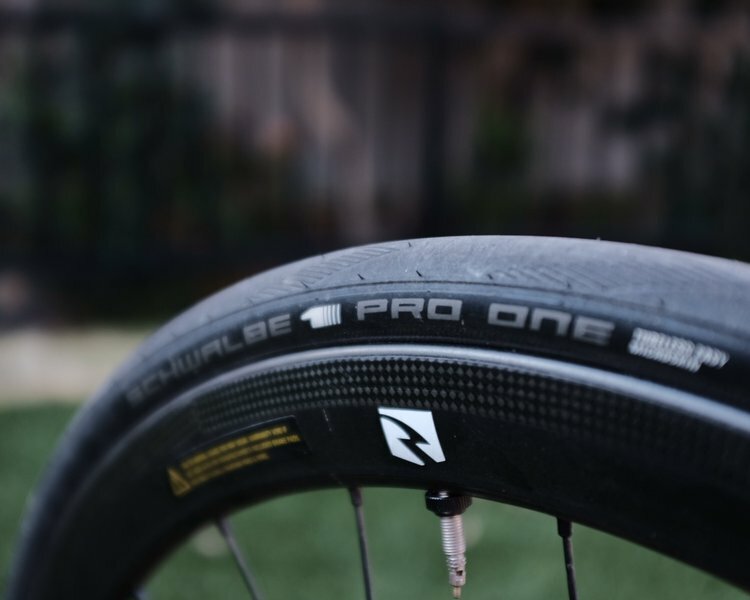 There’s a lot to consider when you’re deciding what tyres to roll with—sorry, I couldn’t help myself—so I’m going to go over my own set-up and why I ultimately decided to make the switch to running tubeless tyres. 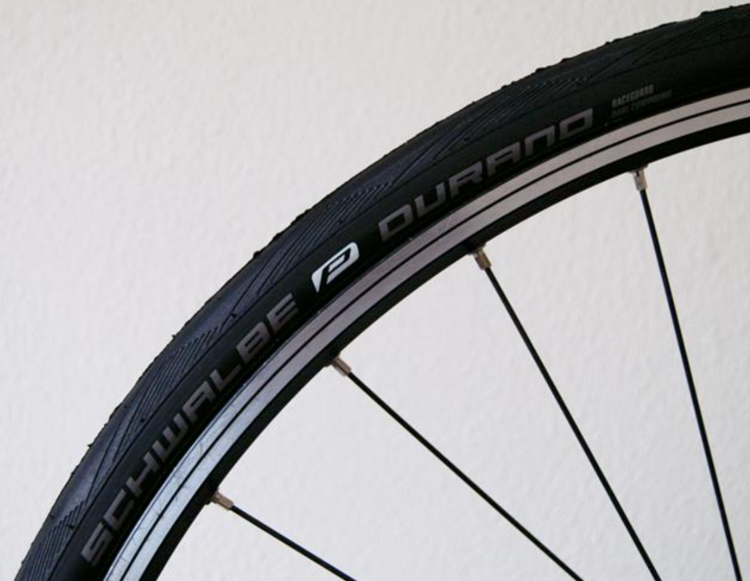 The three tyres I use, depending on the environment and the kind of riding I’m doing, are all made by Schwalbe, a forward-thinking manufacturer who has enthusiastically embraced tubeless technology. 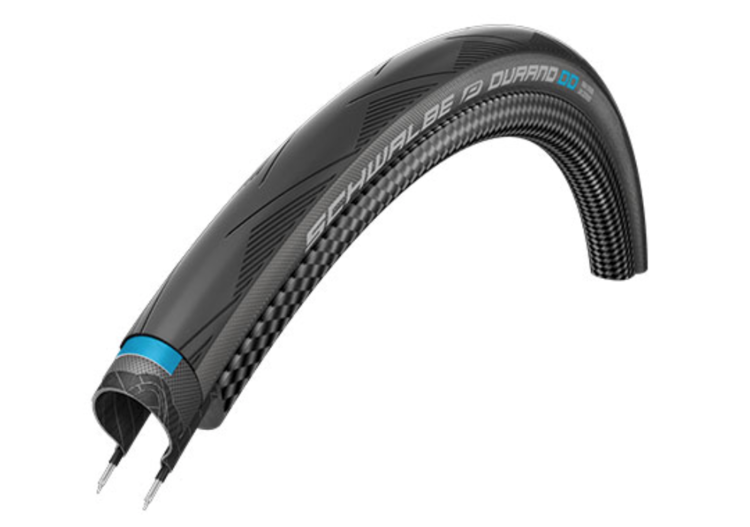 Schwalbe proudly boasts that “tubeless is the tyre technology of the future.” And I’m inclined to agree. After all, technology is high on my priority list in terms of equipment choice, because safety and reliability in remote conditions is pivotal. As an ultra-endurance adventure cyclist, the last thing I want is to be stranded (or worse, injured) because a component failed. This is why I decided to make the switch from the conventional Vittoria tyres I used to ride on, to the more advanced Schwalbes I use now. Specifically, the G-One 38mm for gravel riding, the Pro One 28mm for road riding, and the Durano DD 28mm for long training rides on rough roads. I’ll go over each model in detail below. The “DD” stands for “Double Defense,” and refers to the combined safeguarding of the RaceGuard protection belt and the snakeskin fabric protector built into the sidewall. This really strengthens up the tyre and regardless of what size you run, there’s very little sacrifice made to weight for this added protection. Wired, the Durano DD’s weight starts at 355g and goes from there. Folding, it starts at 275g. This tyre’s pretty commonly accepted as being a solid all-around any-weather option for general training, and is a popular choice for winter cycling in other countries. They fit a little snug, but not so snug to cause any problems, and offer plenty of grip in wet and dry conditions alike to make up for any delay in fitting. Grandiose name aside, the Pro One is a staple road racing tyre that really showcases the advantages of tubeless technology (it’s available in both folding and tubular configurations.) To begin with, eliminating the tube reduces rolling resistance since there’s no more friction between the tube and the tyre. Tubeless tyres can also be ridden at a lower pressure than their ‘tubed’ counterparts, which puts more tread in contact with the roads and presents an extra edge going through corners. The Pro One’s lighter than the Durano as well, with the 28mm weighing in at just 245g, and is made with Schwalbe’s OneStar triple compound, which I find exceptionally grippy. Initially I was going to use the ‘Pro One’ for events only, after all, they are touted as an ‘all out race tyre,’ but I’ve been so impressed with the longevity of these tyres that they are now a staple on all of my road bikes. Everyone’s going nuts for gravel riding these days, and like I said earlier, I was riding almost exclusively on gravel roads for the eleven days I was in Bhutan. That’s why I brought the G-One. Like the One, the G-One is tubeless and is made with the OneStar triple compound. It’s on the gravel roads, that the tubeless tech really has a chance to shine. As I mentioned earlier, tubeless tyres can be ridden at a lower pressure, which makes riding noticeably more comfortable while delivering some extra control in rough conditions. But there’s also the added puncture protection—tubeless means you can say goodbye to pinch flats, and puncture protection fluid can seal incisions almost instantly while you’re riding. They may not be ‘flat-proof,’ but in my experience, a tubeless tyre can take quite a bit more punishment than a conventional one (I’ve been running my Schwalbes for three months now and I have yet to get a flat). If you do happen to get a flat, you’ll find that a tubeless tyre will go down much slower than a tubed tyre, giving you more time to react and maintain control of the bike. Weight-wise, depending on your size and configuration, you could be looking at anywhere from 360g-790g. While this might be a heavier tyre I can definitely say it’s worth it if you’re riding on rougher surfaces. • So long, pinch flats! At the end of the day, what’s most important is that you select a tyre based on what you want to get out of it. I find that between these three, I’ve pretty much got my bases covered, though the Pro One (tubeless) 28mm is the tyre I ride the most, even for training, and it’s the one I plan on running for my upcoming Taiwan KOM challenge. I know that this is a controversial subject in the cycling community, and I might come off a bit partisan, but I really can’t say enough good things about going tubeless. If you’re in Perth and you’re looking for Schwalbe tyres, I highly recommend stopping by Cyclemania on Charles Street and checking them out. 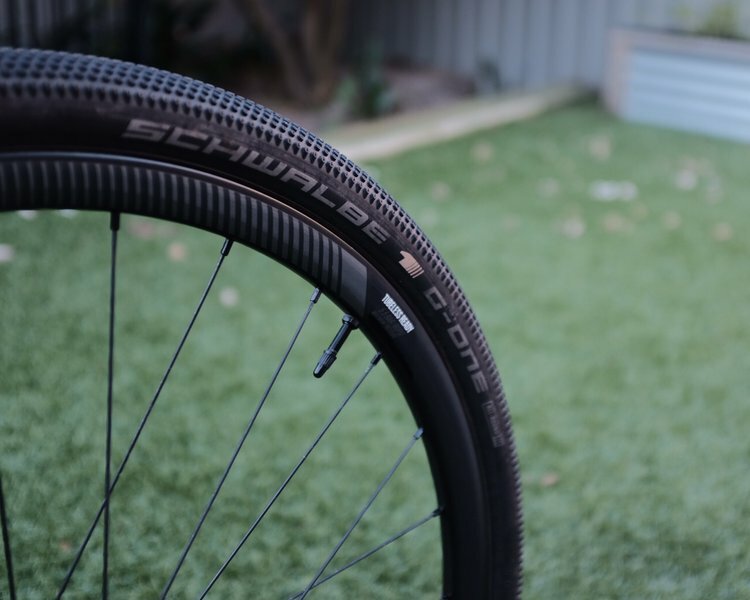 Schwalbe is widely distributed in Australia by BikeBox so for those on the East Coast, check out their website for an up to date list of all stockists.